Tottenham's Champions League fait will be determined in Barcelona where they look to make up for a sloppy start to the competition. Tottenham Hotspur travel to Barcelona in a last chance bid to save their Champions League dream alive. In the last game of Group B, Spurs must match the result Inter Milan manage against PSV to progress to the knockout stages. However, in the way of Spurs and the last 16 is five time winners Barcelona. The Lilywhites rose to second spot in Group B after their 1-0 victory over Inter Milan at Wembley. Meaning, Spurs have to at least equal the result Inter Milan achieve against PSV Eindhoven at the San Siro. With PSV rock bottom of the group, it is likely Spurs will need a victory against the team which has comfortably topped Group B. However, one thing Spurs have learnt in their past few seasons in Europe's elite competition is that nothing is impossible. Spurs endured a 4-2 schooling back in October as Lionel Messi showed his class on the Wembley pitch once again. An early goal from former Liverpool star Philippe Coutinho set the tone and was followed up by one of the goals of the tournament from Ivan Rakitic. 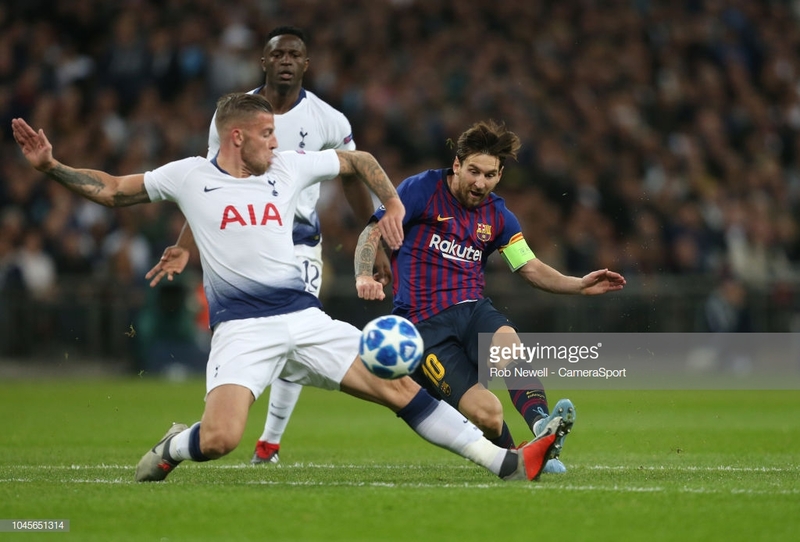 Although Harry Kane seemed to hand Spurs a lifeline with a neat left-footed goal - Lionel Messi quickly responded to make it 3-1. Erik Lamela added his name to the score sheet but yet again Messi ended any possible comeback from the Londoners with his second of the night. A tough ask for Spurs then at the Camp Nou. Ahead of the clash, Mauricio Pochettino has announced both Kieran Trippier and Serge Aurier will miss the tie through injury. However, Erik Lamela has returned from his thigh injury and is available for selection. As for the home side, Ernesto Valverde has said there will be big changes made to his side. Luis Suarez has been ruled out of the tie after only returning to the first-team on Saturday.